Click here to see this week's notice sheet in pdf format. An evening with John Wyatt (Emeritus Professor of Ethics and Neonatology at University College London), as he presents a clear and compassionate Christian perspective issues around the beginning and end of life. On 23rd September we were pleased to welcome Rod Thomas, Bishop of Maidstone, for a confirmation service . You can find a recording of Bishop Rod's sermon on our 'Sermons' page by clicking here. 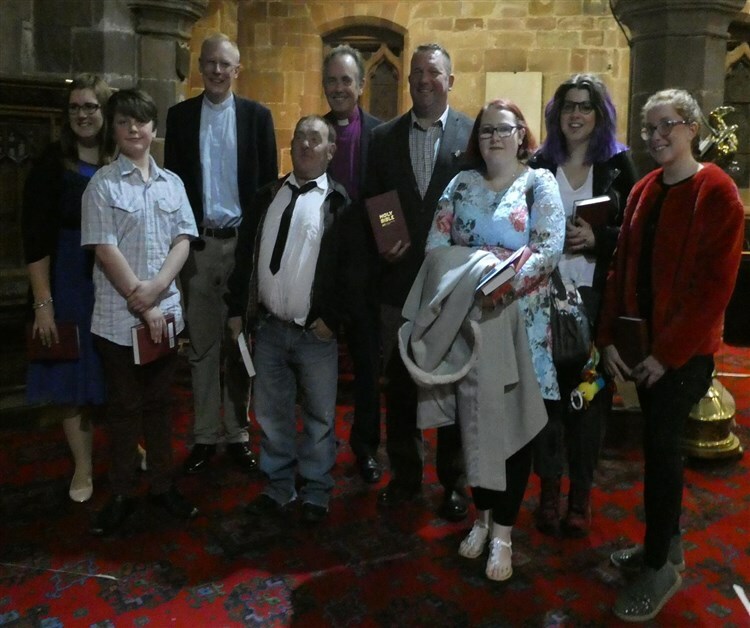 Pictured here are the confirmation candidates from left to right: Beth, Cohen, Jeff, Wayne, Danielle, Rosie and Grace along with our Vicar, Simon and Bishop Rod.